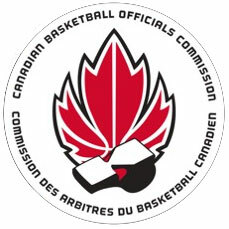 The Canadian Association of Basketball Officials (CABO) announced the recipients of the 2012 CABO Ritchie/Nicurity Scholarships at its recent AGM in Regina, Saskatchewan. Two of the six scholarships were awarded to Manitoba offiicials, Richelle Ready and Eben Rawluk. Six $500.00 scholarships are awarded annually to student officials in an open cross-Canada competition. The scholarships were created to honour Bill Ritchie of New Brunswick and Bryan Nicurity of Saskatchewan, both of whom were past Presidents of CABO and both Ted Earley Award recipients. Both Bryan and Bill are honoured members of the Canadian Basketball Hall of Fame. Congratulations to Manitoba’s Richelle Ready and Eben Rawluk for being awarded two of the six scholarships!!! !